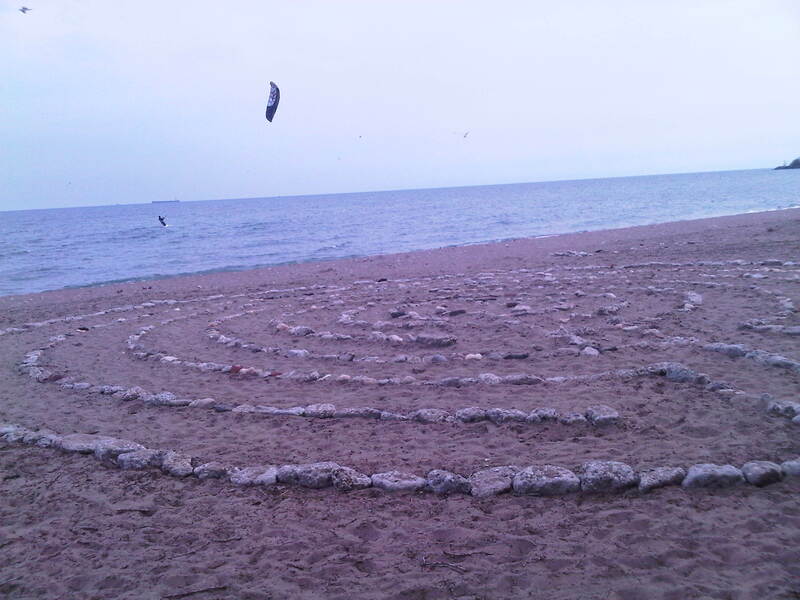 This was taken in the Beaches in Toronto on a spring day. The path has been worn down by those who have tread the path of the labyrinth. Thanks Himy for drawing it out.